In August 2016, contamination of the Havelock North water supply with sheep faeces hospitalised forty-five people and left at least three dead. 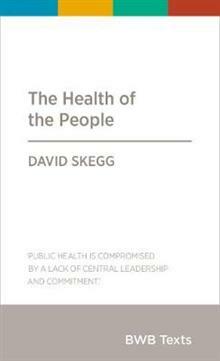 Eminent public health researcher David Skegg argues that the campylobacter outbreak was not a random event, but rather the result of a f... read full description below. In August 2016, forty per cent of the residents of Havelock North were suddenly struck down by a serious bacterial infection. The outbreak of campylobacter, caused by the contamination of the water supply with sheep faeces, hospitalised forty-five people and left at least three dead. Eminent public health researcher David Skegg argues that the Havelock North campylobacter outbreak was not a random event. Instead, it highlights fundamental weaknesses in our country's health infrastructure. To prevent future public health disasters, he explains, New Zealand must invest in society-wide public health. There also needs to be political will to counteract the forces that damage health. Personal health care is important, but we neglect public health at our peril. Sir David Skegg has chaired many government bodies, including the Health Research Council, the Public Health Commission, and the Science Board. He was also the President of the Royal Society Te Aparangi and has been an adviser to the World Health Organization in Geneva for more than three decades.